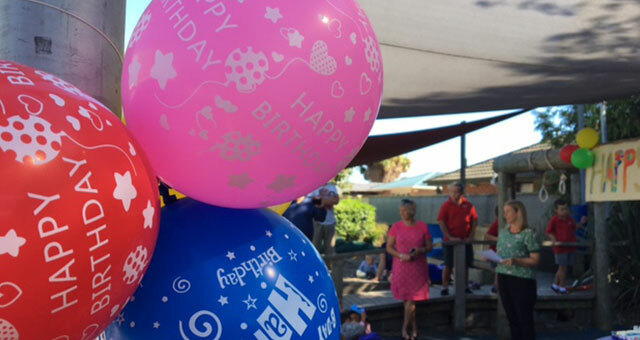 The Kidsfirst Isleworth teaching team; Deborah Alexander (Head Teacher), Judy Morton, Sarah Jones and Charlotte Besley, gave a warm welcome to past and present children, teachers, parents and families to share birthday cake, party food, balloons and lots of fun reminising. The celebration was a real homecoming for many special guests including previous Head Teachers Barbara Morton and Jill Papps. Yvonne Holmes, who worked as a kindergarten teacher for 32 years and current teacher Judy Morton (with Kidsfirst Isleworth 24 years), were just some of the many beautiful connections in the crowd. 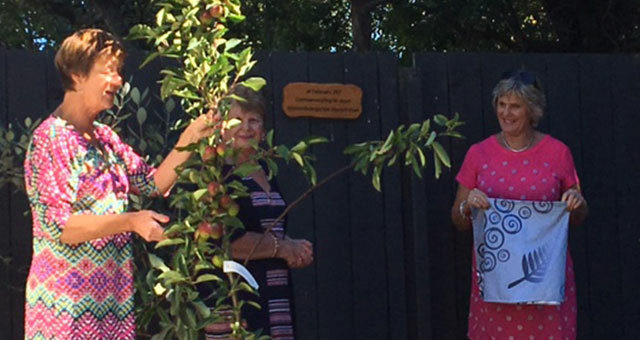 To mark the occasion, Kidsfirst CE Sherryll Wilson unveiled a plaque next to a newly planted apple tree, and ESM Kathryn O'Connell-Sutherland gave a heartwarming speech to thank everyone for their contribution toward such a lovely occasion. And as is Kidsfirst tradition, the oldest kindy kid Stacey Lee (four) and the youngest Beau-Eloise (two) helped to slice through the decorative, chocolate cake, to the lively tune of a rā whānau (happy birthday).